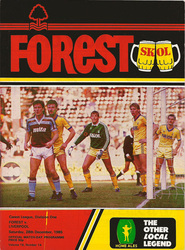 1 v Sheffield Wednesday, 21/8/85. 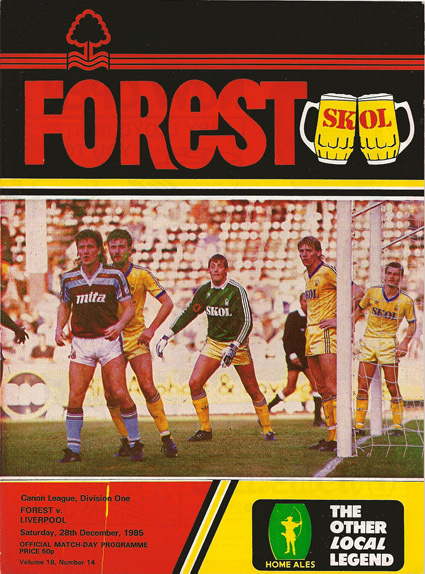 3 v Manchester United, 31/8/85. 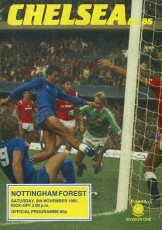 4 v Notts County (1984/85 County Cup Final), 11/9/85. 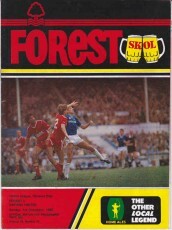 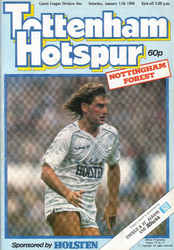 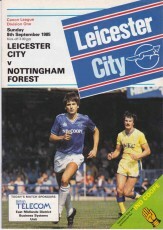 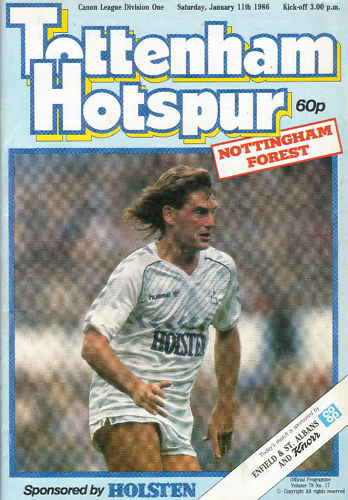 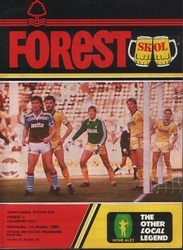 5 v Tottenham Hotspur, 14/9/85. 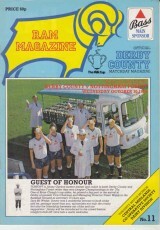 7 v Bolton Wanderers (Milk Cup 2-1), 25/9/85. 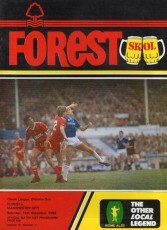 8 v Ipswich Town, 5/10/85. 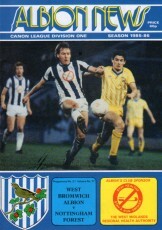 10 v West Bromwich Albion, 3/11/85. 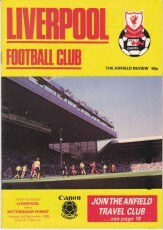 11 v Manchester City, 16/11/85. 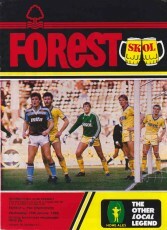 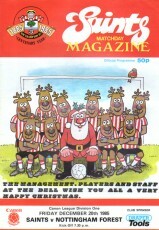 12 v Oxford United, 1/12/85. 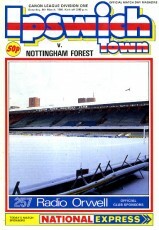 13 v Luton Town, 14/12/85. 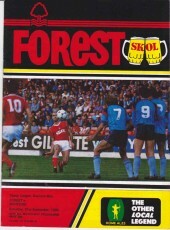 15 v Coventry City, 1/1/86. 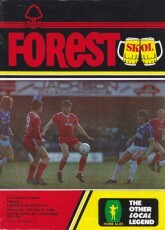 16 v Blackburn Rovers (FA Cup 3), 4/1/86. 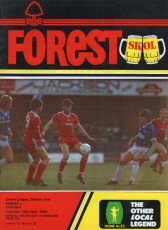 17 v PSV Eindhoven (Holland, friendly), 15/1/86. 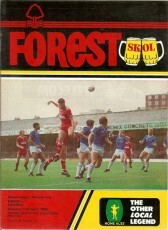 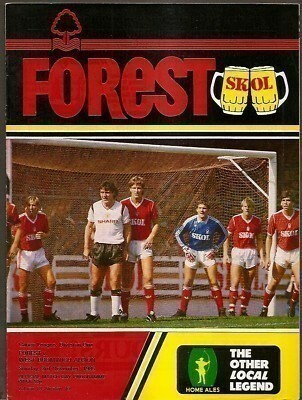 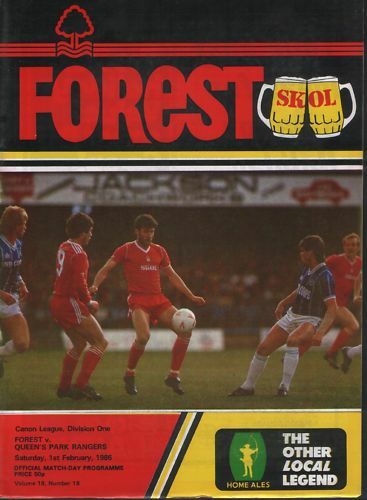 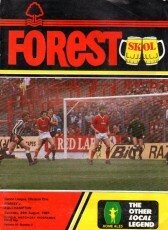 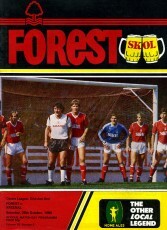 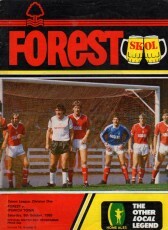 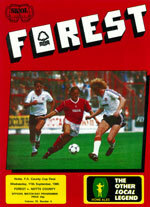 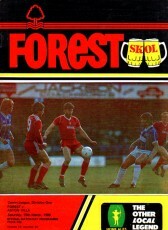 18 v Queens Park Rangers, 1/2/86. 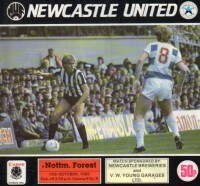 19 v Newcastle United, 8/2/86. 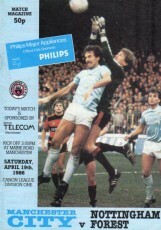 20 v Aston Villa, 15/3/86. 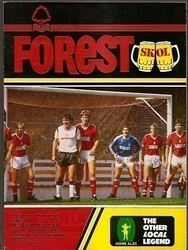 21 v (Spain, friendly), ? 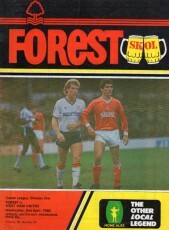 22 v Leicester City, 22/3/86. 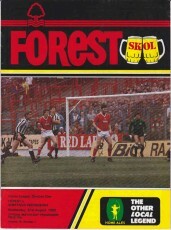 23 v Birmingham City, 31/3/86. 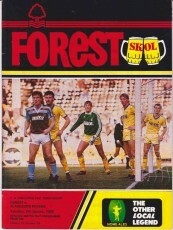 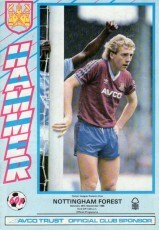 24 v West Ham United, 2/4/86. 25 v Chelsea, 12/4/86 - 2 different covers. 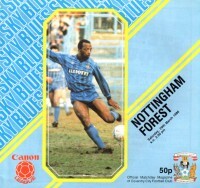 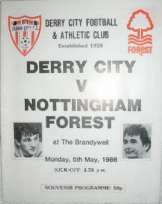 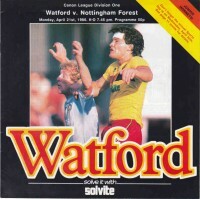 27 v Notts County (1985/86 County Cup Final), 8/5/86. 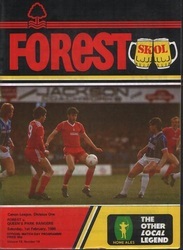 (5) v Barnsley (Pre-season friendly), - single sheet. 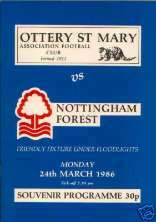 (18) v Queens Park Rangers (Milk Cup 4), - postponed. 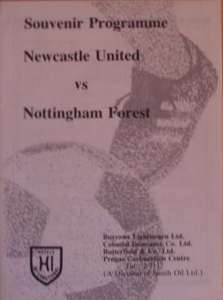 (28) v Stoke City (Friendly), - single sheet. 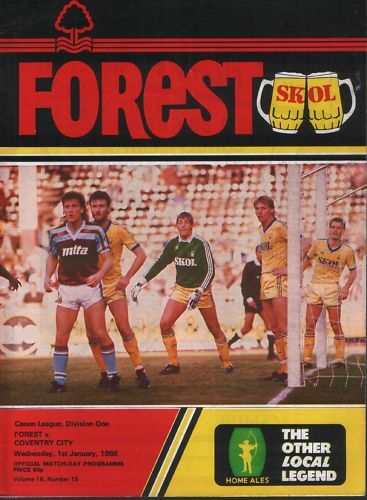 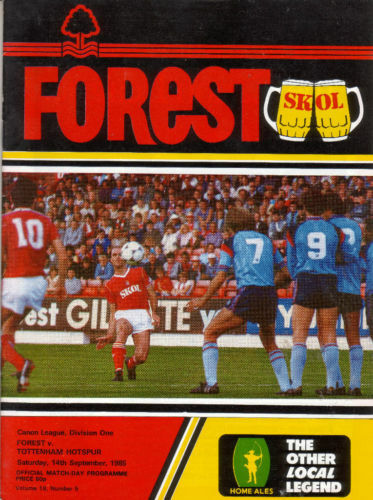 (1) Real Sociedad (Spain) v Nottingham Forest (Friendly), 15/4/86.